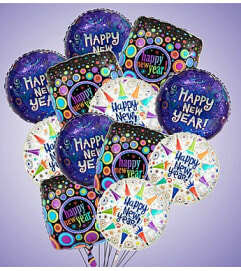 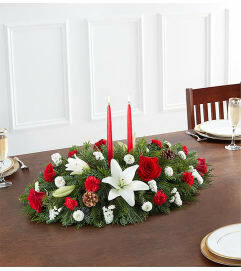 Fill their celebration with an abundance of charm and cheer. 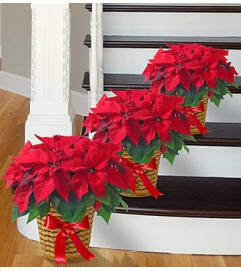 Our fresh bunch of Gerberas, spider mums and assorted greens delivers certain holiday smiles, hand-arranged in a reusable white ceramic pitcher with red satin ribbon and a pair of candy canes. 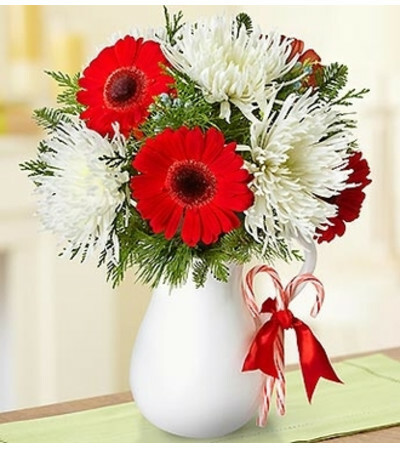 Festive arrangement of red Gerbera daisies, white spider mums and assorted fragrant Christmas greens.